I’ve been feeling really inspired to create more creative looks recently and have been doing so on my Instagram channel. It dawned upon me that I’ve barely touched upon that creative side on my blog, because I’ve been so busy sharing product reviews and everyday makeup tutorials… so I thought I’d share something a little different today and test the waters to see if you like it/want to see more posts like this! 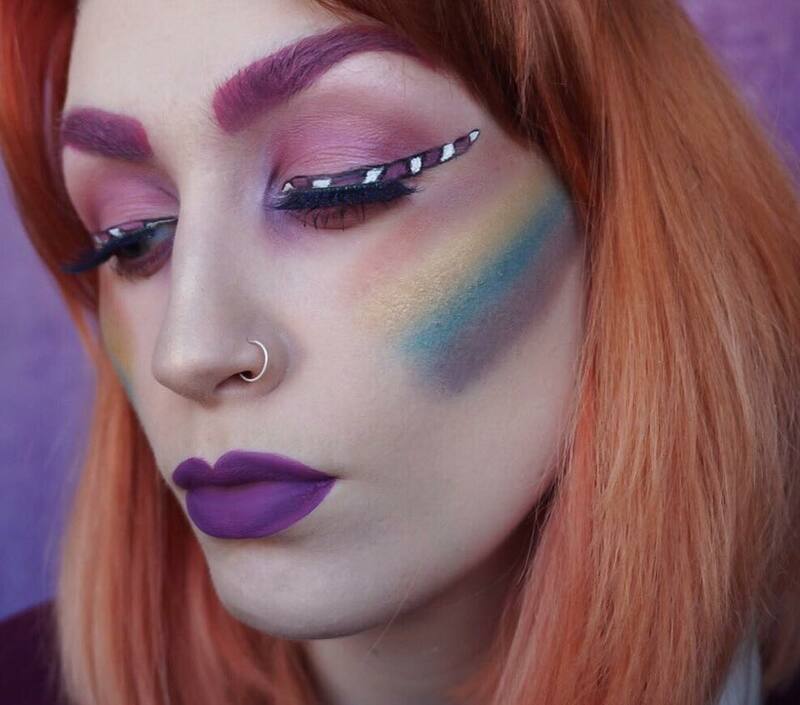 On National Unicorn Day, I filmed a tutorial of the look above (very natural, you know). I decided that in addition to testing out the unicorn liner trend which has swept the internet (let me tell you, it’s REALLY difficult to perfect), I would also create a rainbow highlight to compliment the idea of a unicorn floating through a rainbow. Of course, you all know the rainbow highlighter I’m on about… I’d never actually purchase it because it’s so ‘out-there’, but it was so easy to recreate using two products – a selection of colourful eyeshadows from the Urban Decay Full Spectrum Palette and a top coat of the Mac Cosmetics Extra Dimension Highlight in Beaming Blush. It’s not an exact match, but it certainly comes close! For the eyes, I combined some gorgeous shades from the Kat Von D Chrysalis Palette with a layer of Kat Von D Tattoo liner, adding NYX White Liquid Liner and Lime Crime Cosmetics Polly Liquid Lipstick (the same product I used for my brows) on top of this to create the unicorn shaped liner. And on the lips, well of course… it’s the Kat Von D Susperia Everlasting Lipstick, a personal favourite. I hope you enjoy my latest tutorial and please leave any comments or questions in the space below! Thank you so much, so sweet!